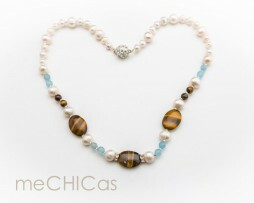 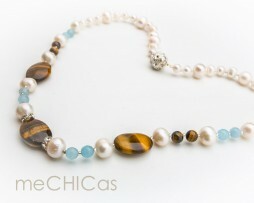 Beautiful Perla Teresita necklace with tigers eye, fresh water pearls and blue agate. 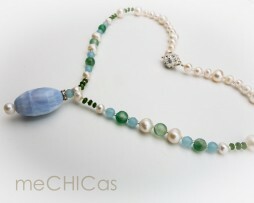 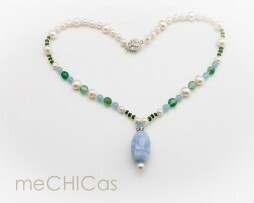 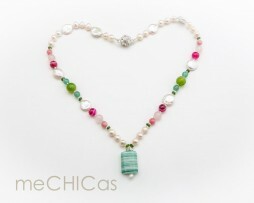 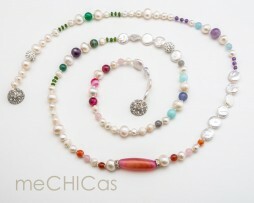 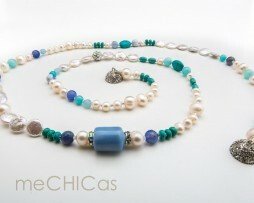 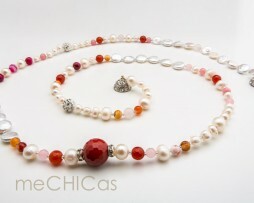 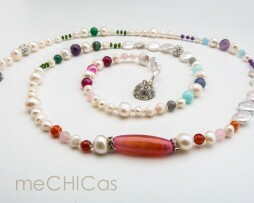 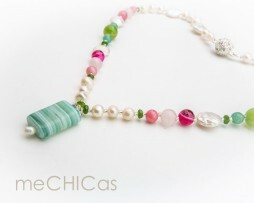 In this beautiful pearl Perla Teresita necklace various stones and freshwater pearls are used. 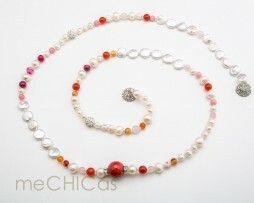 It is a long chain that can be double-worn around the neck, the closing is magnetic. 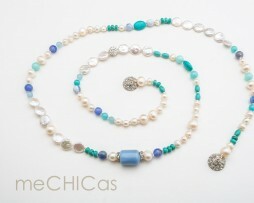 It is a long chain that can be double-worn around the neck.